Can you name a medical device that changes the lives of millions of people, but isn’t generally covered by insurance? Surprisingly, the answer is hearing aids. Most private insurance doesn’t cover them. With a price tag ranging from $1000 to $4000 each, hearing aids have become a luxury few can easily afford. 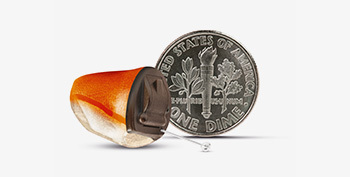 According to the American Speech-Language-Hearing Association (ASHA), only 20 states require health insurance cover hearing aids, but most of them only cover children. Only four states — New Hampshire, Connecticut, Rhode Island and Arkansas — have varying provisions that potentially cover adults, too. In other states, those with private insurance sometimes find that the cost of the exam is covered, and nothing else. The reasons for the lack of coverage vary according to who you ask. Insurance companies view hearing aids as elective. But for those who have hearing loss, hearing aids are a lifeline. Without them, quality of life drops dramatically; people with hearing loss become isolated and have trouble engaging in life. Hearing loss affects everything from family relationships and employment to mental and physical health. Without hearing aids, personal safety can even be comprised for people with hearing loss. The arbitrary nature of declaring a medical device elective is certainly convenient for insurance companies. Meanwhile the real reasons insurance companies don’t cover hearing aids, while a closely guarded secret in the insurance industry, are wide open to be speculated upon. And like many things, the reasons are most likely fiscal. But before we get into that, we need to look at how insurance companies work in the traditional sense. Insurance companies work by taking the cost of an uncommon, but insurable risk, and spreading it over a large group of people. Spreading the cost of an unlikely risk over a large group of people means everyone pays a reasonable amount. One example would be the risk of a perfectly healthy person falling suddenly and seriously ill. Since that is not likely to happen, that is a considered an insurable risk. That means the odds are in the insurance company’s favor they will never actually have to pay up. When you add up insurance premiums, administrative fees and other costs, the insurance company makes a profit. But hearing loss is not an unlikely risk. It is a likely risk for growing numbers of Americans. 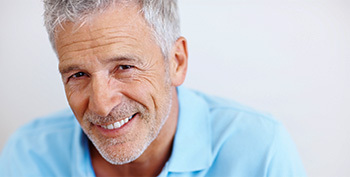 To most insurance companies, hearing loss is not considered insurable. As a parallel, imagine what would happen if everyone’s homeowner’s insurance policy covered new carpet in their house once the old carpet became slightly worn. Who wouldn’t take advantage of that coverage? It’s the same with hearing loss; more than 50 percent of those over the age of 75 have hearing loss, and the odds are simply too great that you will eventually make a claim. Too many claims in addition to the high cost of hearing aids along with the fact that they need to be replaced about every five years, and the insurance companies would make less profit. In addition to the cost/risk problem, insurance companies also have 35 other mandated benefits they are required to cover. With hearing loss statistics as high as they are, they just aren’t willing to take on another risk, especially one that high. What it comes down to is that insurance companies were created and are in the business to make money. Though the lines have become blurred, insurance companies were not originally conceived as healthcare. 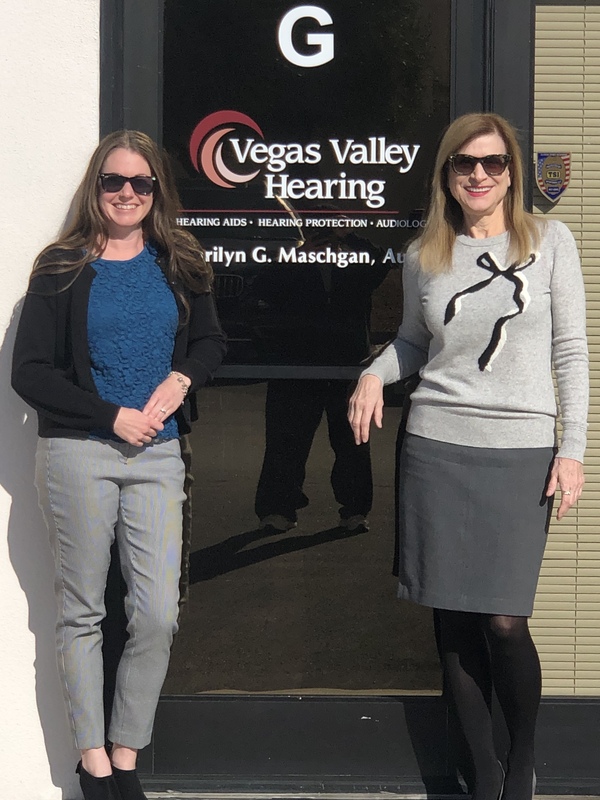 Their bottom line concern is primarily about finance, even when they dip their toe into the healthcare waters as one insurance company has done recently with their foray into hearing aid clinics. United Healthcare, for example, has recently begun to offer lower cost hearing aids through audiology clinics located in some of their urgent care facilities. But although the cost of the hearing aids is lower, there may be an unexpected downside. And what about spreading the risk of paying for hearing aids for the older generation to the younger generation, thus enlarging the risk pool and spreading the cost among more? The bottom line is insurance companies are in competition for the premiums of young people. In a tight job market, and with young people often saddled with so much debt coming out of college, the lower the premium the more attractive the policy is. Therefore, the insurance companies that refuse to make younger policy holders pay the bill for the older ones, thus keeping premiums low, have a competitive edge. And only offering hearing aid coverage to younger people won’t work either; sure, uninsurable risk explains why insurance companies offer no hearing aid coverage for older people, but just covering younger people who are less likely to file a claim exposes insurance companies to running afoul of age discrimination laws. Though it would be less risk, and a much smaller pool of potential claims to be spread among the many, insurance companies don’t want to have to answer to the older generation as to why they were denied coverage that was offered to their younger counterparts. Federal health insurance plans aren’t much better. Medicaid coverage for hearing aids varies from state to state, with some states excluding coverage entirely. And most hearing aid providers don’t accept Medicaid or Medicare due to the complex paperwork involved as well as a low, and slow, reimbursement rate. While some Medicare Advantage plans include coverage for hearing aids, traditional Medicare, the federal health insurance program for those age 65 or older, doesn’t include any coverage whatsoever. A lot of private insurers follow Medicare’s lead, so if Medicare doesn’t cover it, they don’t either. And is there a potential for coverage expansion under the Affordable Care Act’s 10 essential health benefits (EHB)? Unfortunately, probably not. Though the seventh EHB, “rehabilitative and habilitative and medical devices," is interpreted by hearing care advocates to include hearing aids, the interpretation varies from state to state. What sets the standard for interpretation, then? 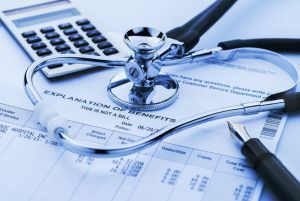 The state’s “benchmark plan," which is the second-lowest priced plan available within a state health insurance exchange. And unfortunately, if the benchmark plan doesn’t consider hearing aids to be essential medical devices, the other plans follow suit. Fortunately, baby boomers tend to be more vocal about their needs and desires than previous generations. The current political climate brings plenty of uncertainty about affordable health care in America, and it may take our collective voice to bring hearing health issues to the forefront. Murphy thinks that is a strong possibility. Fortunately for those who qualify, insurance isn't the only financial assistance available for hearing aids. To read more about your options or national organizations which may provide help in obtaining hearing devices, visit our informative page on insurance and financial assistance options for hearing aids. Half-court finished,<a href=http://www.stephencurryshoes.us>stephen curry shoes</a> the garage 12 items and 4 rebounds 6 aids, Owen 17 rebounds, 2 assists 1 contains the upper hand slightly. But as knight defeat within the second half, even their one-on-one hit his items. In this series, OuWenBen must have certain advantages in counterpoint, such as the finals last year, as the season of Christmas competitions, with their strong personal fortunes turned. But today the warriors on the changes, let knights staggered, also let like one-on-one hit Owen <a href=http://www.curryshoes.us.com>curry shoes</a> to obtain the rhythm. Actually, today most likely was clay - Thompson Master Owen, although Owen hit a dead before him, but clay height reach or up to a point, limits the Owen's strike. In only a few times facing single singled out inside his Arsenal, although Owen provides good performance, but also it's hard an extra shot for a knight. Entire play, scored 28 points 6 rebounds and 10 assists in the Treasury, 6 of 11 three-point <a href=http://www.kdshoes.us.com>kd shoes</a> photos. 24 points and 3 rebounds, a couple of assists, Owen has scored 17 points in the first half, he scored seven points within the second half. Facing the big four from the mighty, and only Erika Owen in one-on-one gain garage have chances, but today's garage to perform better.